I meant to post these photos last year, but 2012 got away from me and I never found the time to work on this blog. 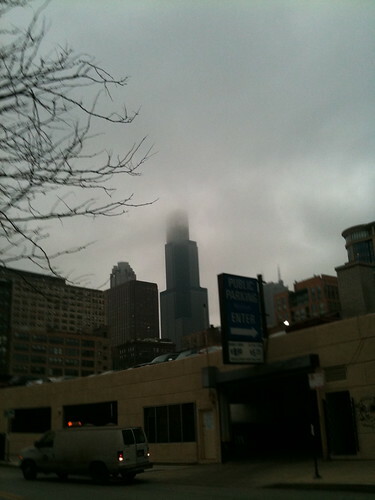 So I was in Chicago for a job interview–I did not get the job–and though I was in the Chicago for less than twenty-four hours, I still enjoyed it. 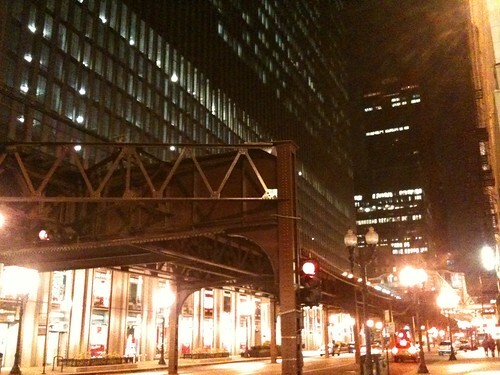 Most of what I saw was from riding the L-train from Chicago O’Hare to and from downtown, and then walking around downtown the night before and the morning of the interview. 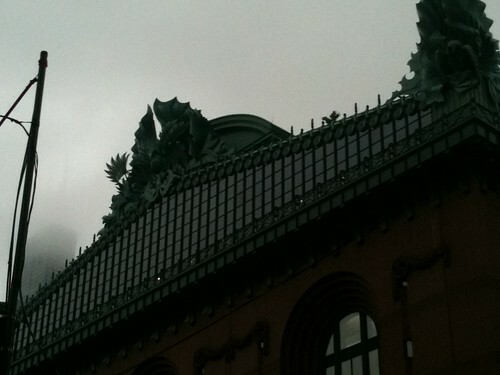 Chicago has this old feeling to it that I immediately came to appreciate and long for. As the train dashed down the tracks I could see all of the old brick housing, built closely together and looking to be pre-World War II in construction. There were lots of decks built onto the rear such housing, usually on the second or third level of the buildings. Perhaps there are parts of the city where there are shiny new things, but I hope I don’t see them. I like the small, old brick buildings packed so tightly together. I like to imagine myself living in one of the units. Shame I don’t have any photos, but it was too dark outside and the training was moving too fast for my mobile phone camera. 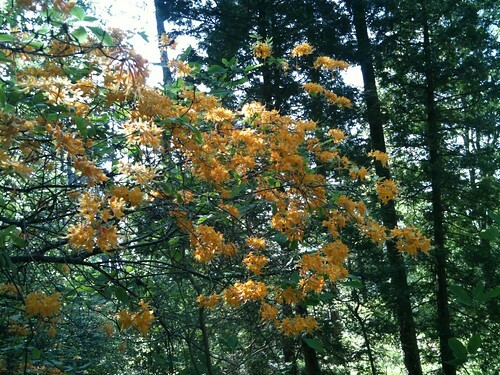 Forgive the mobile phone camera shots…one of these days I’ll be able to get a digital SLR. 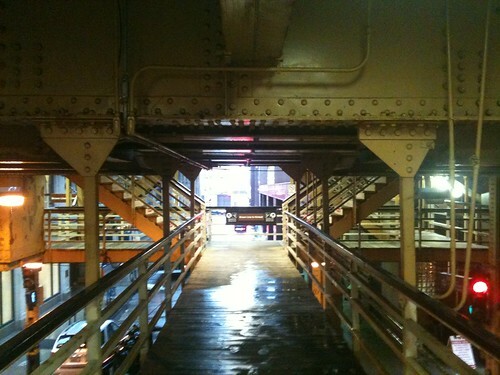 You have to hike up the stairs to get to an L station, and I was surprised by the mix of heavy metal for the tracks, and then wood for the walking areas for passengers. It just adds to this old, industrial feel that I had when I was in the city. A wooden platform, and there are booths on the platform with three glass walls and a heating element inside to help keep you warm in the strong Chicago wind during the winter. 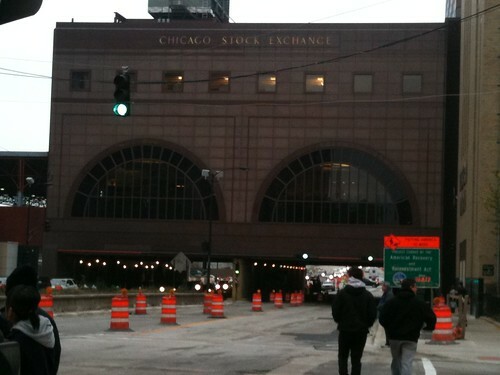 The Chicago Stock Exchange…which no longer operates, but has let out the trading floor and offices to private companies t operate their businesses out of. In the end I did not get the job; I did not quite have the skill-set that the potential employer was looking for. I am still glad I got to the opportunity to interview with the company, see the interesting work they are doing, and also a chance to see a bit of Chicago. In the future I would certainly consider another opportunity in Chicago, and I’d certainly entertain the opportunity to live in the neighborhoods of Chicago (versus the ‘burbs like Aurora). I love the old feel to the city and I think that the old feel and grittiness is a part of what makes Chicago unique from other North American cities. And you certainly cannot beat the great public transportation! I was surprised to find that many interviewees at the company took a taxi from the airport to the hotel, rather than using the L system and hiking a few blocks to the hotel. Oh well though, their loss in my opinion. 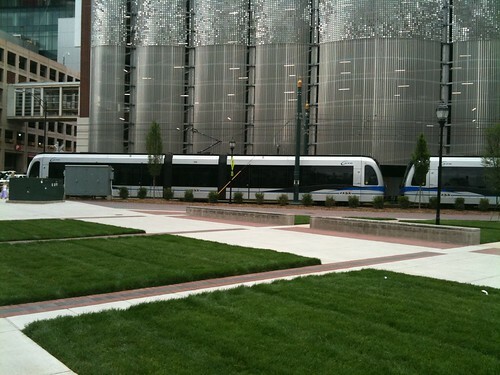 CATS (Charlotte Area Transit System) blue line that runs from Pineville into “Uptown” Charlotte. I understand there have been some trouble with this above ground rail system, but I certainly hope they can continue with the project and improve it. More cities need to take on projects like this. Though the returns might not be immediate, with proper planning and the foresight to look beyond election cycles, more cities can provide better public transit systems. A great place to start is by improving the bus systems–four dirty buses a day just will not cut it. After all, do we all really like sitting on those parking lots called the interstate highway system around our cities in the mornings and evenings? 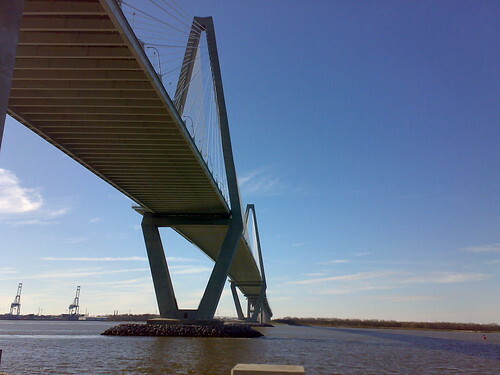 The Arthur Ravenel Jr. Bridge is the longest cable-stayed bridge in the Eastern USA. To the left of the photo is the Port of Charleston. Last weekend my niece flew back to Japan out of Atlanta, so we were back in Hotlanta after a five-and-a-half hour drive through the rural nothingness. Her flight out was on Sunday and we arrived on Saturday determined to take her to one last sight. 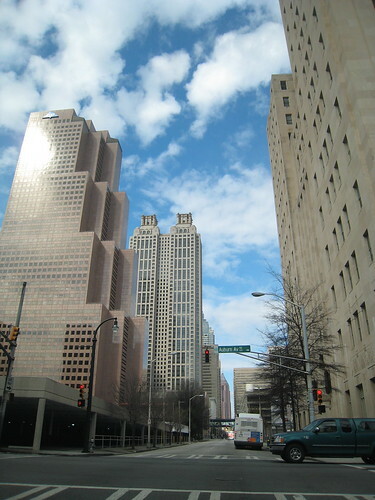 Atlanta is the birthplace and global headquarters of Coca-Cola, and for the 1998 Olympics the company built the World of Coca-Cola. 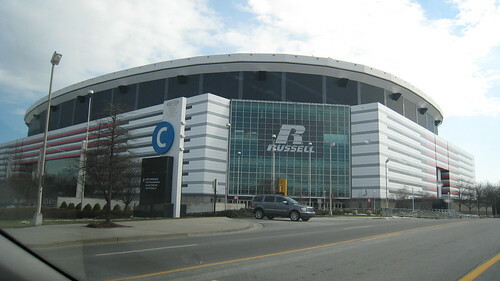 It is one of the three things that the Georgia Tourism board recommends doing in Atlanta (the others being a visit to CNN and watching professional sports). My niece seemed to enjoy World of Coca-Cola enough, but it was a big let down in my eyes and certainly not worth the cost of admission. Only two things of interest exist in my opinion: a small bottling plant setup that explains the manufacturing process and a sampling area where once can sample 60 different types of Coca-Cola products from around the world. Surprisingly, most of the beverages are carbonated fruit beverages, with the products form Africa being quite interesting in taste. The rest of the exhibits were tasteless propaganda and marketing, such as a pop art museum with Coca-Cola propaganda. 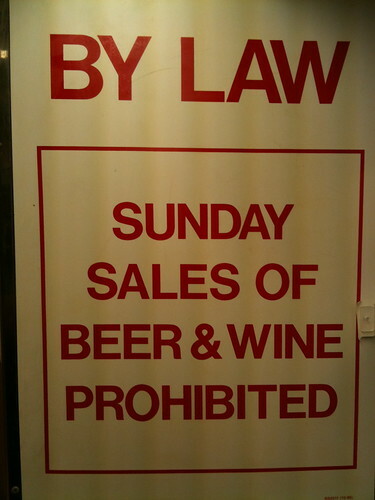 The southern baptists seem to have a strong grip on things in Georgia…I thought North Carolina was bad until I saw this sign (NC bans sales before noon on Sundays…have to keep everyone in church I guess). I don’t really see the purpose in these sales laws either. Why does it matter which day we purchase our beer and red wine? 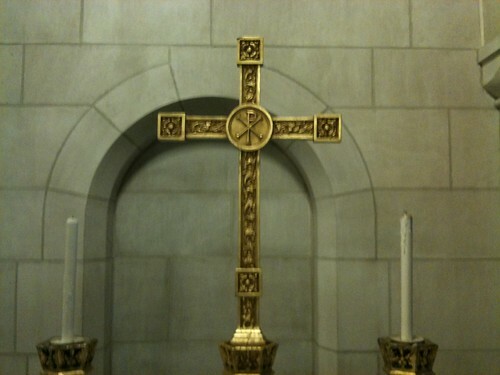 Of course, I’ve got it, it offends the senses of the southern baptists. I guess this would be one negative point–well, more of an inconvenience really–regarding living in Atlanta. I’ve been on a roll with the trips lately, and this past weekend I visited the Research Triangle Park area, known as RTP, which consists of the three cities of Raleigh (State Capital of North Carolina), Durham, and Chapel Hill. Connecting these three cities together on a map, you get a triangle for which this growing area of the country is known. Believe it or not, the State of North Carolina has a special office in Tokyo for attracting Japanese businesses to North Carolina. As with much of the Southeast, the state tries to create a low-tax, business friendly environment. Unions are not welcome in this part of the country, and employment is at-will. Raleigh is home to NC State University, the top engineering school in the state, and it is also serves as a base for large software companies like IBM, Microsoft, and Red Hat, as well as a growing biomedical research industry. 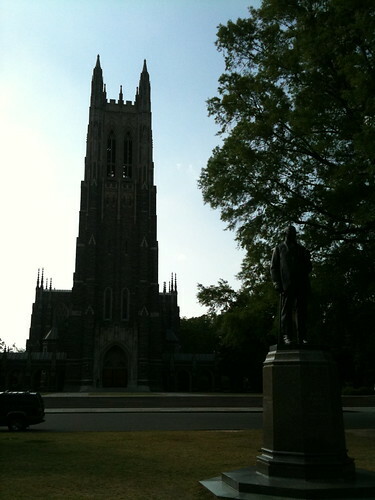 Durham is home to Duke University, currently the top school for college basketball, and home to the famous Duke University Medical School and Hospital. It is also home to Duke University’s Fuqua Business School, a top 25 business school offering a world-wide recognized MBA. 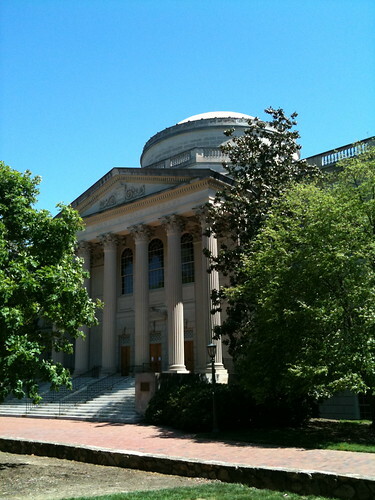 Chapel Hill is home to the University of North Carolina at Chapel Hill, the premier liberal arts school in the state, and the college where Michael Jordan made a name for himself. The town is a cultural and historical center in the state of North Carolina, and it supports a thriving arts and cultural scene enjoyed by students and adults alike. I have two brothers, one at Duke and one at Chapel Hill, so I took the opportunity to crash their campuses and see how things go down in the Triangle. On Friday after work I drove five hours from ol’ Boot into North Carolina, with nothing between Charleston, SC and Raleigh, NC. 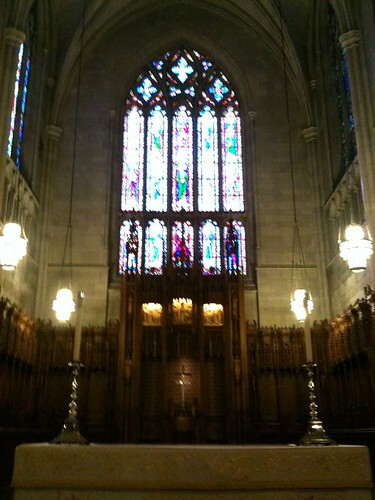 After a relaxing Saturday morning, we headed to Duke University’s campus to check out the gardens, the chapel and the campus. A fenced off section of the garden, which was not open on Sunday. We never could figure out what was in the fenced in area. 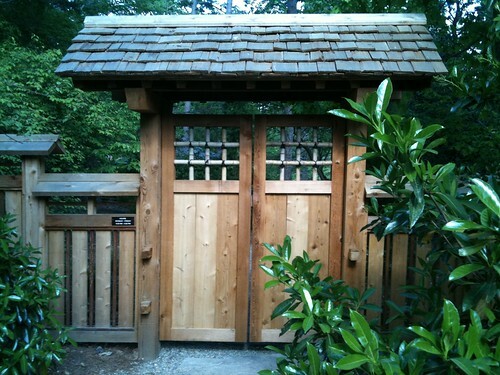 The gate was beautifully constructed, nonetheless. On Saturday Evening we enjoyed dinner at a Turkish restaurant on Franklin St. in Chapel Hill, just fifteen minutes from Durham by car. 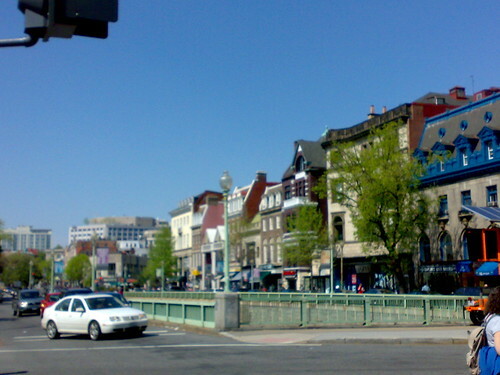 Franklin St. is a typical main street in any southern city, a busy road with restaurants, watering holes, shops and much more. After a long night of conversation, we had another late start on Sunday, a much needed late start considering I would have to drive back to ol’ Boot later in the day. 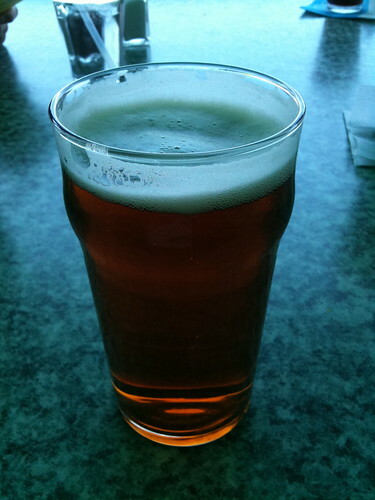 The delicious amber ale at the “Top of the Hill” restaurant, which offers a nice view of Chapel Hill and the foothills in the distance. Chapel Hill has a nice traditional red brick feel that you don’t get at most universities. 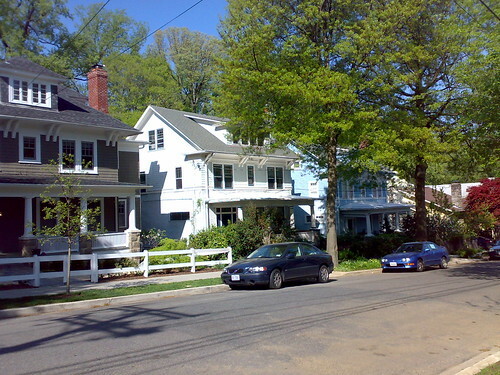 Rather than a few larger buildings with an eclectic architectural style, Chapel Hill has lots of small buildings that are architecturally homogeneous. 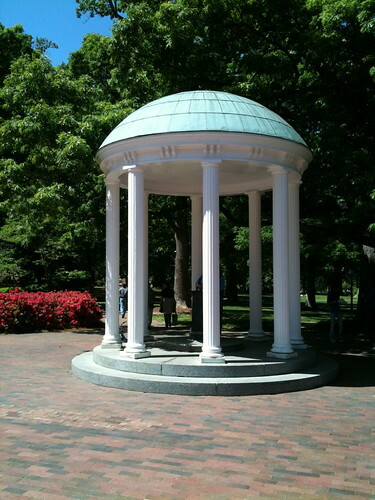 Inside this dome is a water fountain that the students at Chapel Hill are very proud of. If you drink from it at the beginning of each semester, luck will be on your side when it comes to your grades. The main library – my brother showed me an interesting gallery at the bottom that shows some of the history of the university. Must of the history of North Carolina seems to be tied to this university. We walked around the main part of campus and I got a good feel for the school. It was getting late, however, and I still had a five hour drive back to ol’ Boot. I stopped back at my brother’s apartment to gather my things, preparing to face the highway, a trying drive with nothing but a lake to look forward to. 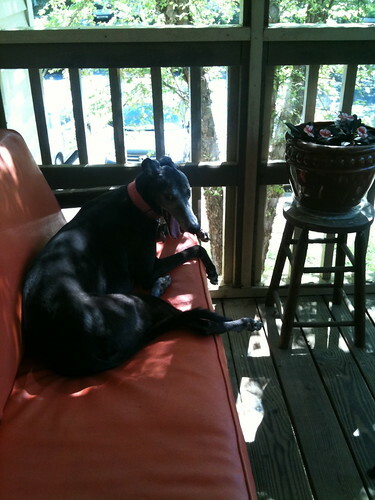 My brother’s dog was enjoying the cool weather on Sunday. She was happy to see me go I think, I introduced too much stress into her daily schedule. Sorry about that, dog. I’ll have to go back to the area again, I’m sure that there is more to see and enjoy. 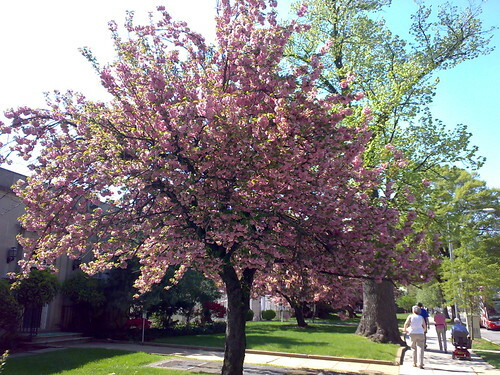 I last visited Washington DC in 2004 while trying to find a job after just graduating from the university. I recently returned to DC for business and arrived early on a Sunday morning. Rather than sit around and watch cable TV all day, I decided I would have a walkabout around Washington DC and enjoy my second favorite city, only behind Taipei in my list of favorite cities I’ve visited to date. 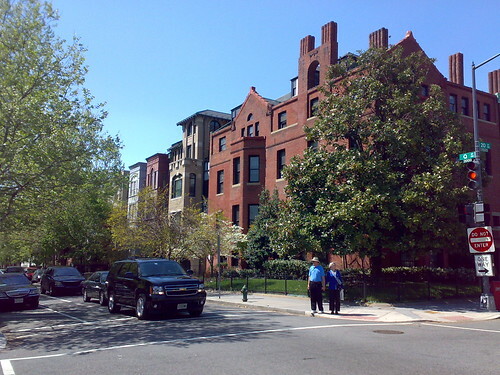 I love DC because it is not a skyscraper wasteland like NYC or Tokyo, yet it is still an urban area with urban living and a decent amount of green space and trees to ensure a good quality of life. Without further delay lets jump a train to the city! 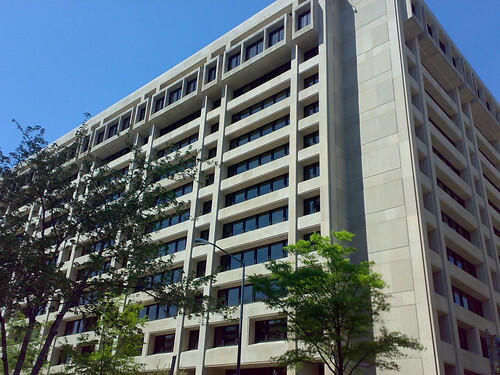 Fairfax is fairly suburban and home to a decent population of civil servants, government contractors, and private sector employees involved in technology. Believe it or not, NOVA is home to a large and growing technology economy on the East Coast. Unfortunately, it is very heavily related to government services. I cannot knock Fairfax, however. 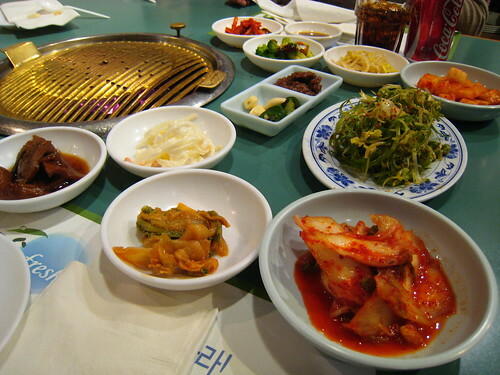 There are many international restaurants, and the county is home to large Korean and Indian immigrant communities. 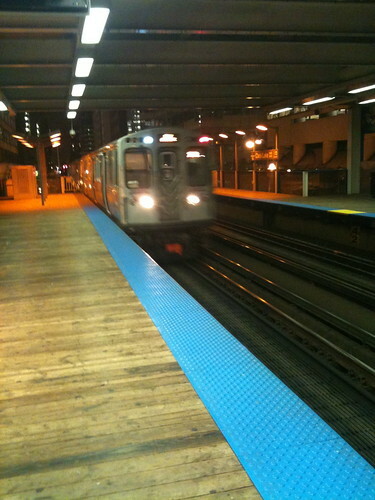 It was nice to be on public transportation again. As the train approached, the familiar smell of the train grinding and burning steel as the train slows to a halt at the station brought me back to my time in Japan. A year has not yet passed, but it feels so far away. Am I really in the USA? The train was full of the usual types: interesting people going somewhere important, quiet men sitting alone, suits, people texting away on their mobile phones, noisy teenagers…it was refreshing. A man can go insane driving a car from point A to B all his life. This train was alive with life! 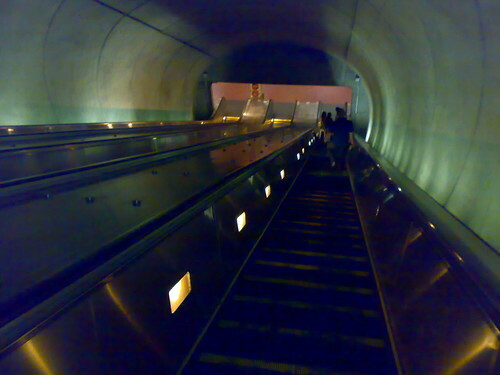 Twenty minutes later, the train came to a halt at Foggy Bottom. I disembarked from the metro to begin my trip. 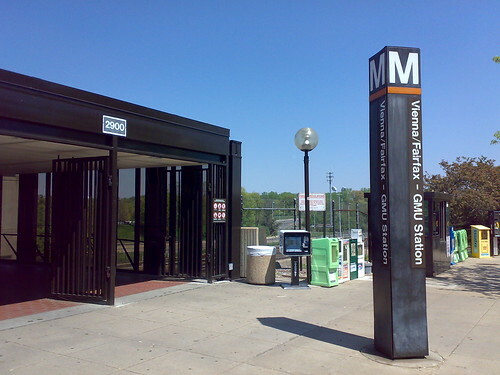 The goal was to travel from Foggy Bottom in central Washington DC and make my way to Bethesda, Maryland, just outside of Washington DC. 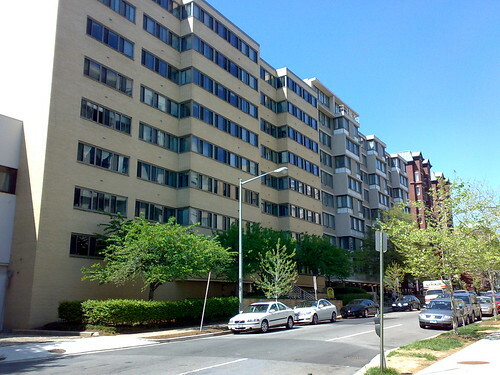 An apartment building on the edge of the GWU campus in Foggy Bottom, just a few blocks from the White House. I thought it might be students, but it looked like professionals exiting from this building. 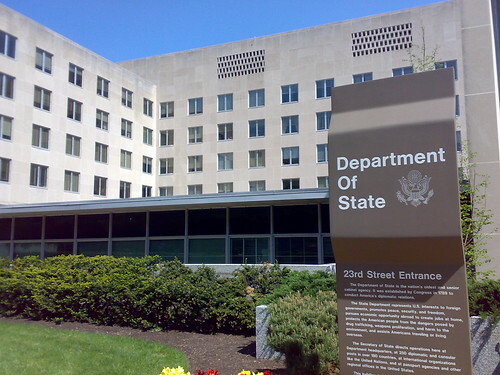 Being just a few blocks from the State Dept., imagine all of the lectures available for students to appreciate! 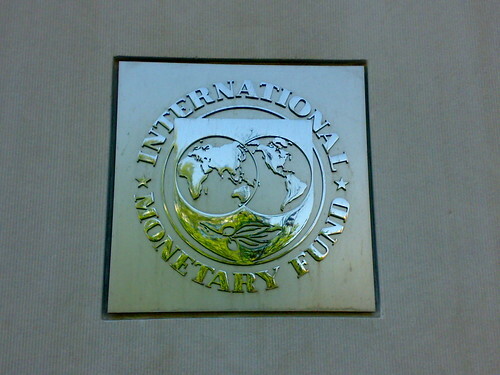 Love them or hate them, the International Monetary Fund (IMF) are across the street from the World Bank. 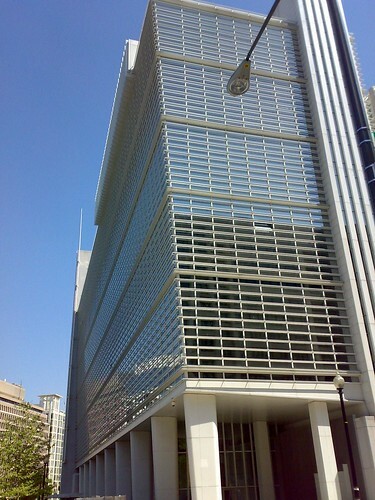 The IMF building looks much nicer than the World Bank, no? 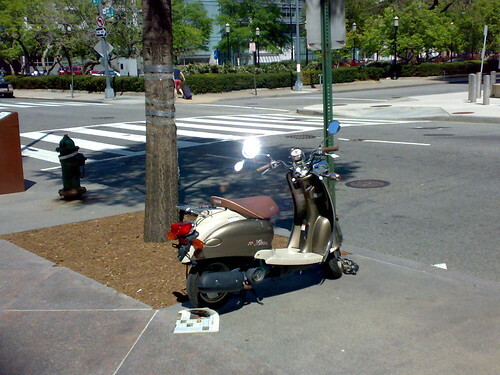 A vespa in front of the IMF…how fitting! 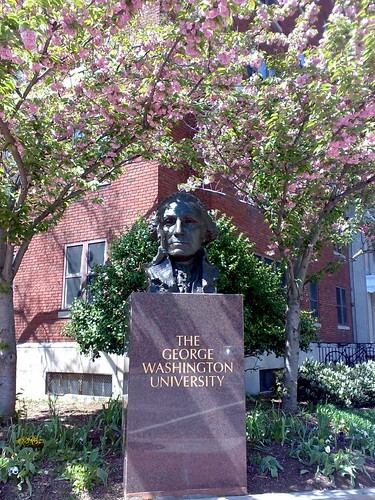 From Dupont Circle I wandered into Georgetown, home to the prestigious Georgetown University, and home to many politicians, high ranking government officials, high flying lawyers and lobbyists that make the city grind. 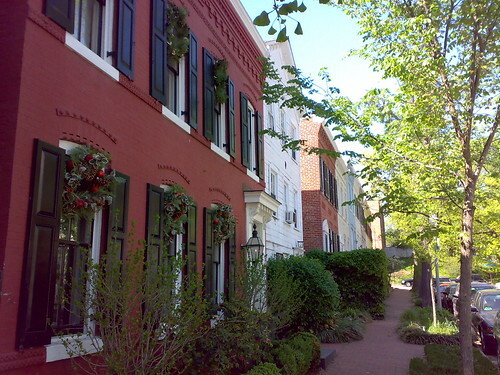 Georgetown is populated with beautiful row houses, some converted into museums or law offices, but many converted into student housing, apartments, and family quarters. While I could spend all day in Georgetown, my goal was Bethesda, which is to the North, rather than more of Georgetown to the West. 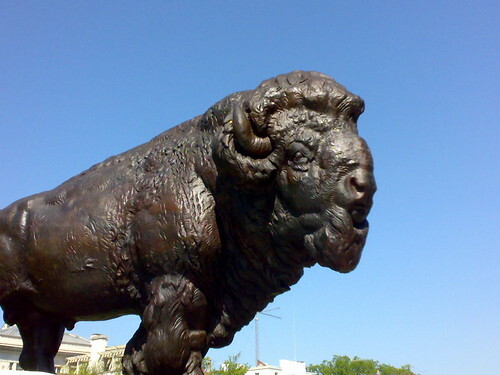 I found this bison along the way back to Massachusetts Avenue, but I have no idea of the meaning of the bison statue. 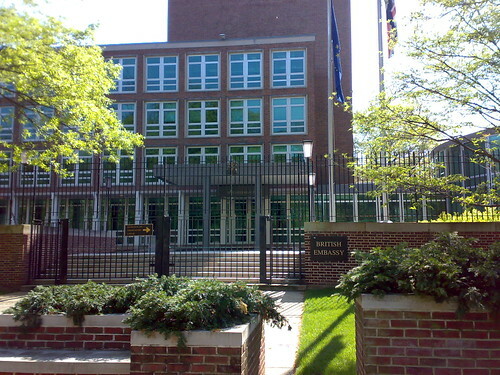 Massachusetts Avenue is home to a large portion of the foreign embassies, ambassador’s residences, and foreign government emlpoyees. I couldn’t recognize the flag on this embassy, but I could very much appreciate the French architecture on this building. 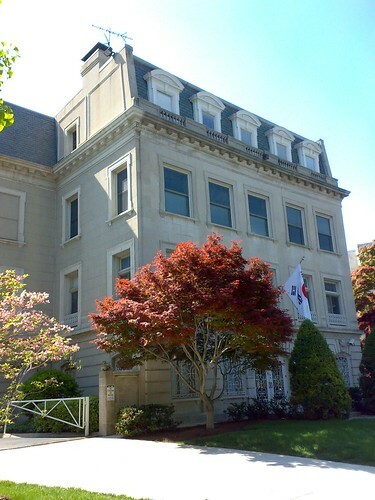 The visa section of the Japanese Embassy — with true Japanese functionality, this building reflects much of what you will see of government buildings in Japan. 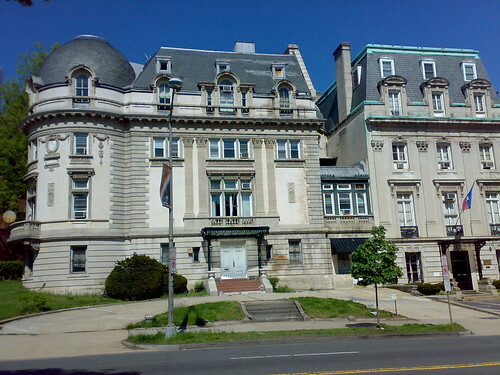 FYI, the ambassador’s residence is MUCH nicer looking. 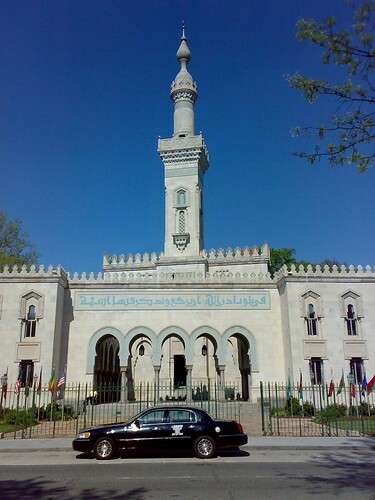 This beautiful building seemed to be not an embassy but an Islamic cultural center. I can’t read Arabic, so I really don’t know. The architecture is so beautiful though. 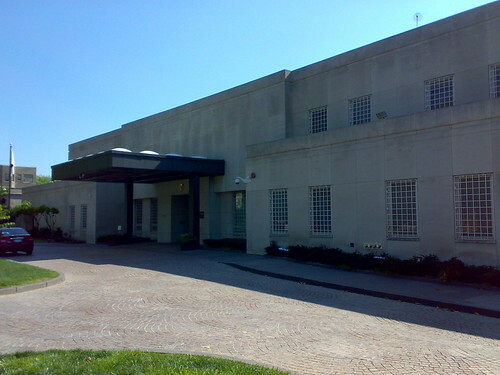 Her majesty’s embassy … I refrained from taking a photo of the ambassador’s residence which was very beautiful and stereotypically “British”. I probably should have taken the photo though…oh well. 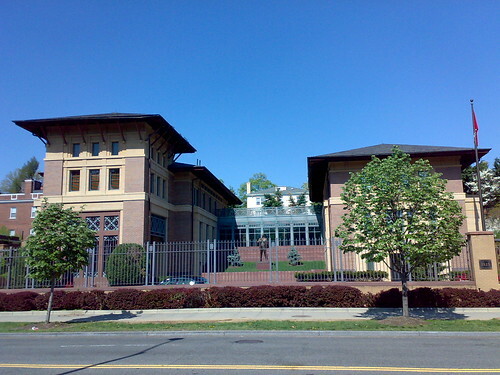 As the street of embassies faded into the area surrounding the Naval Observatory, I ducked into the suburbs to make my way North towards the Cleveland Park metro station. In the neighborhood one can find international schools, the National cathedral, and lots of beautiful old houses populated with young and wealthy families. 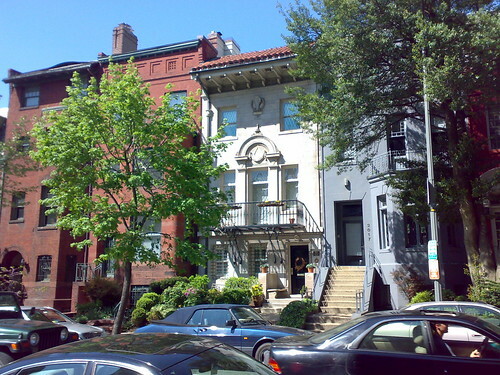 Cleveland Park has lots of traditional homes and is very quiet. It is hard to believe that just fifteen minutes south by bicycle and you’re in the action of Dupont Circle. 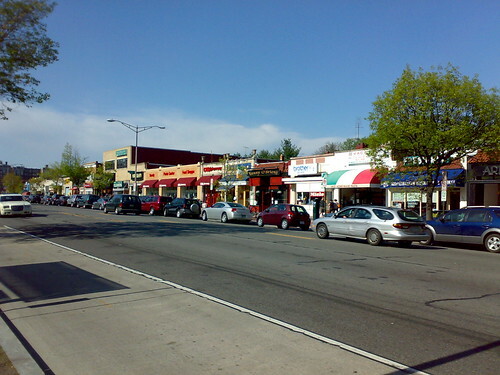 Near the station at Cleveland Park, the foot traffic is still high and there are plenty of restaurants and shops on the major streets, such as the one above, Connecticut Avenue. Though Bethesda was just a few more stops North, after walking uphill for over two hours my feet were killing me and I decided to jump the metro. I began the descent into the hole. 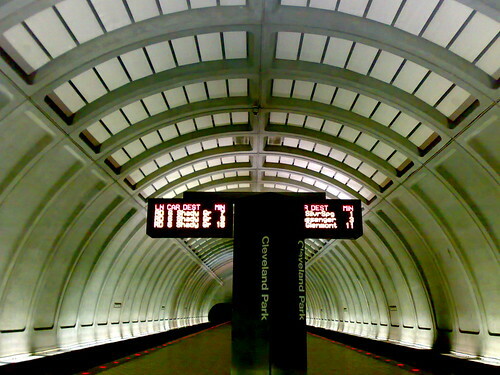 The DC metro system is very clean and I love the high ceilings. New York’s subway system is much gritter, though many times more convenient. For DC’s size, the metro is very reasonable and a real treasure. 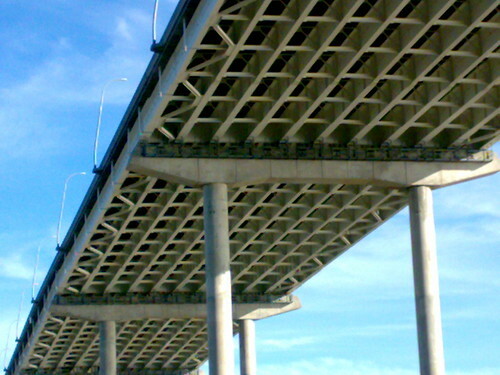 Larger cities in the USA have much poorer infrastructure, and DC should be a model to other American cities. Bethesda! 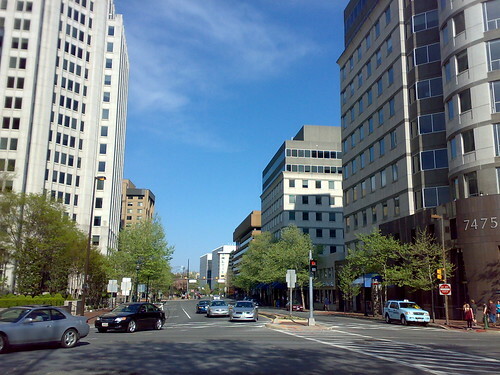 Known for the medical industry, the Naval hospital, and many small high tech companies, Bethesda is an expensive yet very livable city just outside of Washington DC in the state of Maryland. 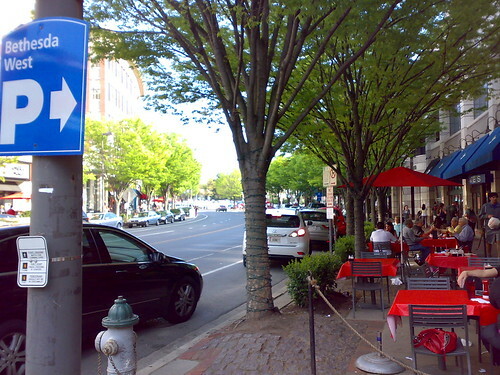 Central Bethesda has many outdoor restaurants and cafes lining the streets. 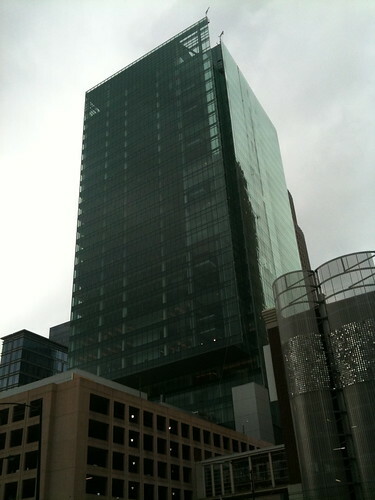 The shopping is very high scale and international, with major brands and stores lining the streets. Being April, the weather was beautiful and the locals were out enjoying their beer along the slow Sunday traffic. With all of the high fashion and clothing shops, I felt like I might be in parts of Harajuku, the modern fashion district of Tokyo. The traffic sure was similar! Outdoor restaurants all over the place. This photo reminded me of one I took in Akasaka at night. I stopped for dinner at Penag restaurant in Bethesda. I had the Nasi Lemak, which consists of coconut flavored rice, chicken curry, spicy anchovies, and the assorted stuff on the left. While the meal was delicious, the richness of the coconut rice went right to my stomach and made me full for almost twenty-four hours. After dinner I walked around Bethesda so I could get a better feel for the city. 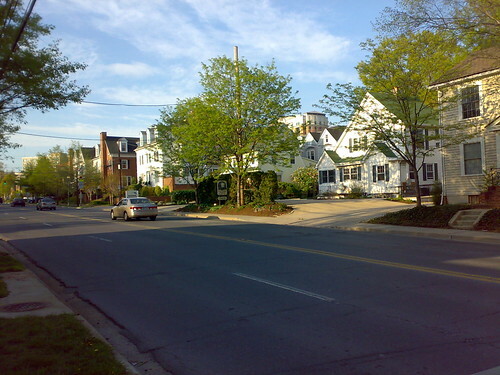 While the central area has lots of condos, office buildings, shopping areas, and restaurants, just a few minutes walk in any direction leads to urban “suburbs”, neighborhoods that are very walkable and close to the city center yet full of single home construction. 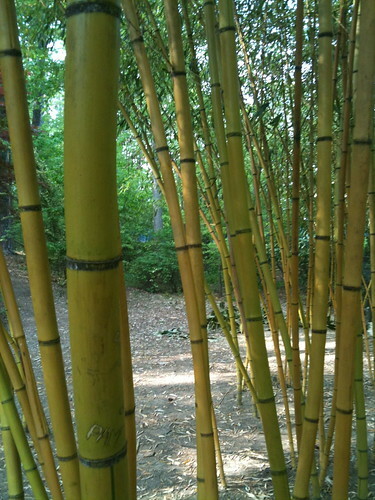 There were also numerous parks and the voices of laughing children enjoying a lazy Sunday echoed through Bethesda. Bethesda seems like an ideal place to raise a family. It was almost 20:00 after I finished eating and walking around, so I headed back to central Bethesda, boarding the metro, and taking it all the way back to Vienna/Fairfax in NOVA. It was great to see Washington DC again, and I’m so happy that it has only improved since I last visited DC in 2004. Hope to see you again soon, DC! Last weekend was a three-day weekend, with Monday being President’s Day, which made for a perfect opportunity for a short road trip. Destination? Atlanta. When Atlanta was campaigning for the summer Olympics last decade, they called themselves “Hotlanta”, which I thoroughly hated. 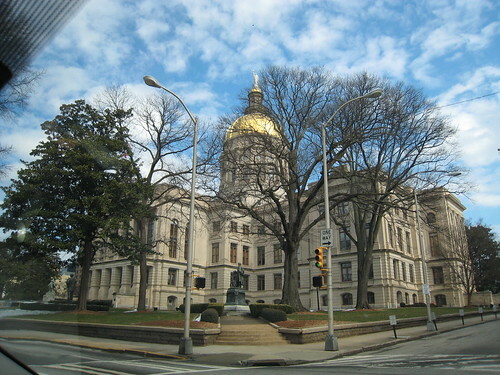 Having visited Atlanta to pick up my work visa for Japan six years ago, I was left unimpressed by the city. At the completion of this trip, I was both pleasantly surprised and left disappointed by Atlanta. Here we go. The day before our trip, there was a snow storm blowing over the entire Southeast USA, and I wasn’t even sure we’d be able to make the trip. People in Charleston drive like maniacs on a daily basis, imagine what the snow would cause? I didn’t believe it would snow, but around 19:00, the snow coated the pavement and apartment buildings outside. 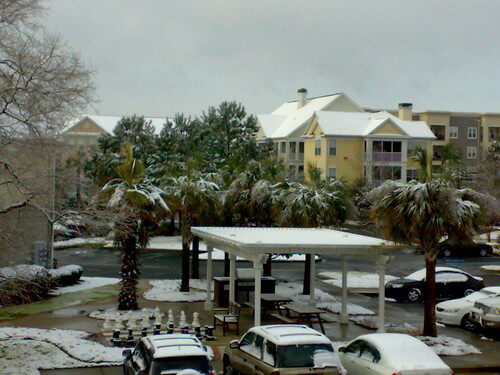 It was truly a sight, palm trees coated in a thin blanket of snow. By morning, however, with the temperature warming up, the snow was mostly melted. By noon, it had all but melted away. With the snow storm not causing too much trouble the trip was on. 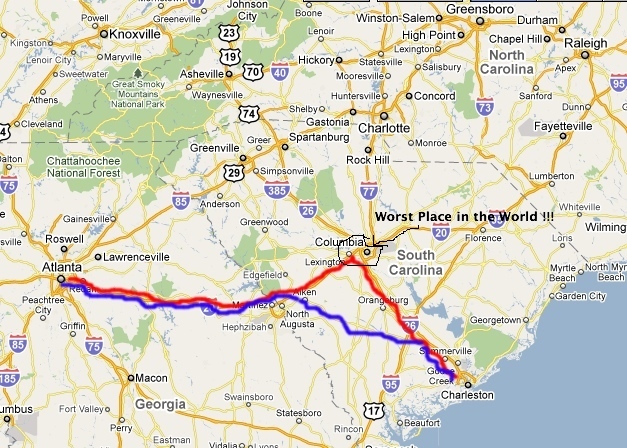 According to Google Maps, the best route was to take I-26 back up to Columbia, SC–the worst place in the world–and then get on I-20 and go west towards Atlanta. Google estimated the drive to be five hours, which was spot on. Google is going to take over the world some day, I just know it. Red marks the trip to Atlanta, Blue marks the trip back to Charleston. The drive to Atlanta was completely uneventful. There is nothing in between Charleston and Columbia, nothing between Columbia and Augusta (Georgia), and nothing between Augusta and Atlanta. It is easy to forget, but this country is huge, full of rolling hills with absolutely nothing. 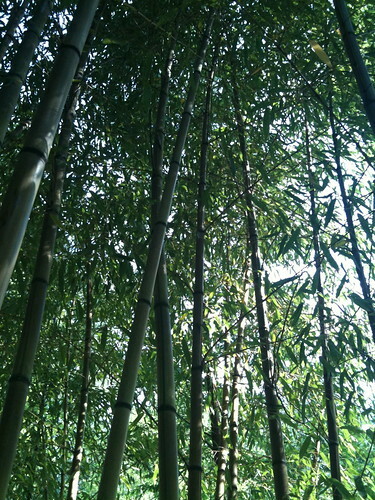 In a way it is beautiful, but it also feels very solitary and lonely. The only interesting site was the Savannah River, which is quite wide compared to Japanese river standards. It was flowing rather quickly around August, but the water was an ugly shade of brown, matching the color of the dirt on the river banks. It might be an interesting river to take a canoe along? Liam would have enjoyed the car trip if he were older as there were numerous cow and horse farms along the way. When in a supermarket it is easy to look at the food and think it all comes from mega-corporate farms in the middle of nowhere in the midlands of the US and Canada. Yet after driving from Charleston to Atlanta and seeing all of the farms, it really surprised me how much agriculture there is still. Perhaps it is all exported though, like the case where North Carolina exports almost all of its soy beans going to Brazil. We arrived in Atlanta around sunset and did some shopping at the furniture store, which was actually the main reason for the trip. The furniture shop, IKEA, was so multicultural that I thought I’d been transported to Montreal–the most multicultural city I’ve ever seen, more than Tokyo. The store is located just north of Georgia Tech’s beautiful brick campus. Georgia Tech, by the way, happens to be one of the top five engineering schools in the US. Even Target, yet another hypermarché, looked extremely modern and inviting compared to the same stores in Charlotte and Charleston. 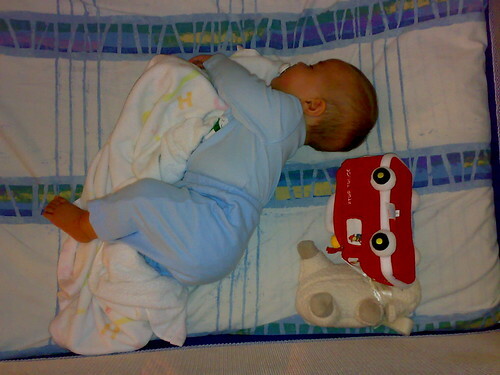 Liam was in a bad mood after the long car ride, however, so we checked into the hotel to get some rest. We tried to go out to eat nearby the hotel, but Liam wouldn’t have it so we ended up taking our food in a box and eating in the hotel. I don’t know what it is about driving long distances, but it wears me out and I slept a good, long eight hours. The next morning we woke up and explored a bit of Atlanta. We didn’t buy any maps or plan the trip, instead depending on our mobile phones with GPS for location services, maps, and directions. Atlanta has 3G wireless coverage everywhere, even inside of giant stores like IKEA. It was amazing to be able to look up something on my phone anywhere without having to walk outdoors. Charleston has pitiful converge and phones rarely work inside of buildings, even apartment buildings with thin walls! 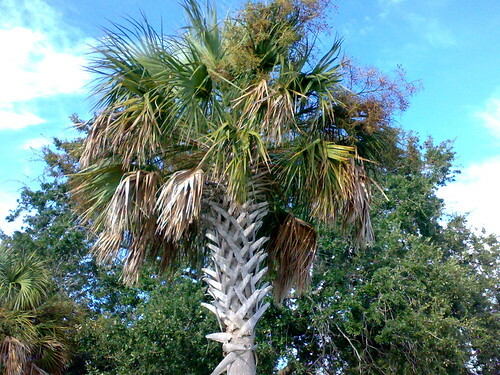 Everyone in Charleston, despite their age, has to have a mobile phone and a regular land-line. How 20th century, no? The first thing you notice from the highways is that Atlanta is full of skyscrapers with the marks of multinationals and big American companies: Coca-Cola, Porsche, AT&T, and so on. When the economy is in good health, it must be a good city for jobs. Atlanta also has a rail transit system running through the center of the city called MARTA, which has two lines running north-south, and two lines running east-west. An extensive bus network, also part of MARTA, fills the gaps inside the beltway. For auto travel, I-85, I-75 and I-20 cut through the center, with a beltway that wraps around the city. All of the major highways have five lanes in one direction. It was also interesting to see the stop-light highway on-ramps like those in Silicon Valley. Such systems are important for improving the efficiency of traffic on the highways, and I’m happy to see another city adopt such systems. 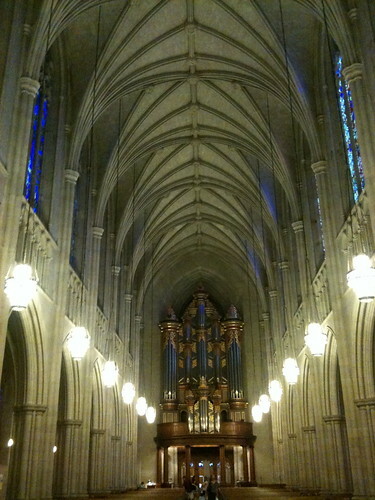 All is not grand in Altanta, however. 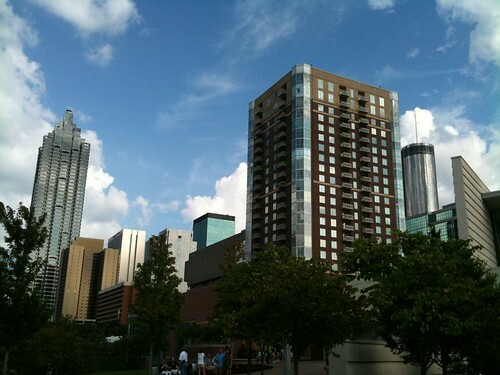 As a tourist destination, Atlanta “boasts” the CNN tower, home of the CNN news network, and a visit to Coca-Cola to see how the company is trying to take over the world of beverages. After those sites, a tourist is recommended to watch professional or collegiate sports, or stop by one of the many bar & grills or concert venues. *Yawn* Like all cities in the south–with an exception of Miami–Atlanta is just another Southern city with no soul, offering low taxes to multinational corporations and a lower cost of living than the Northeast. Outside of the city center and the beautiful Georgia Tech campus, the city is surrounded by dilapidated and condemned building projects and stores with iron bars covering the store-fronts. 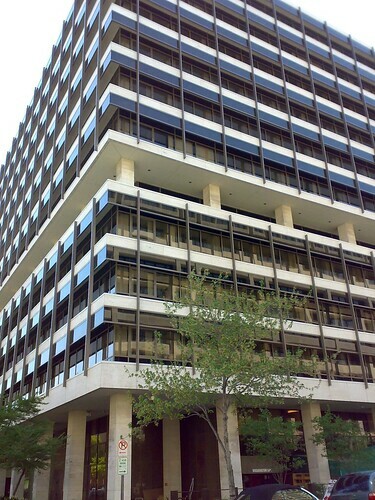 The lower part of downtown, where the government and Federal buildings are located, looks horrible with bail bond brokers and title-loan operators all over the place. It reminded me of Raleigh (NC) in many ways. I noticed two Chinese tourists walking around this part of town, one shaking his head after scanning some buildings on the street. 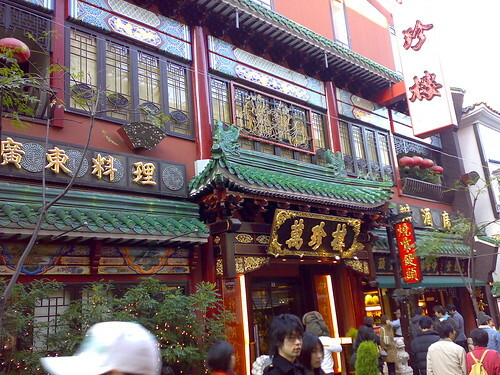 It must be shocking for Chinese to see urban areas downtown in such pitiful condition. In anywhere but North America, downtown would be prime real estate. Having said that, however, Atlanta would not be that bad of a place to live. While I’m sure the traffic is horrible, if you can put up with it, there is affordable housing outside of the beltway in safe neighborhoods. 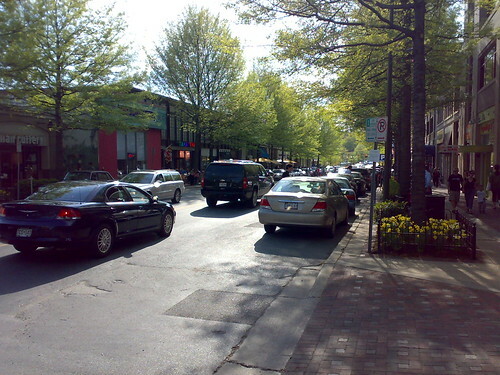 I’m very interested in urban living, and I was happy to see that there were many new condominiums in the upper part of downtown and near the Georgia Tech campus. 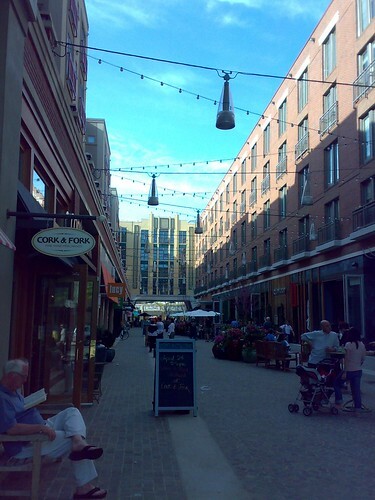 Most have underground parking, so you could still own and automobile to go shopping around the suburbs while enjoying the urban aspects of life. Let me put it this way: I’d rather be in Atlanta than anywhere in South Carolina. 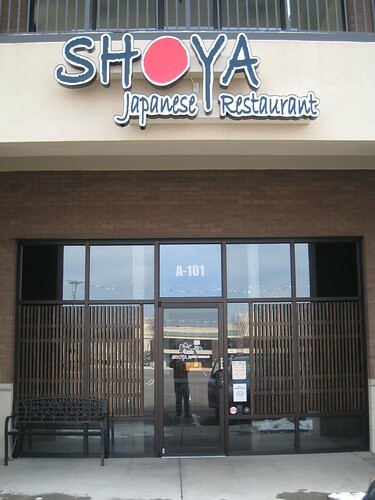 Shoya – a ubiquitous Japanese watering hole, known in Japanese as an “izakaya” (居酒屋). While in Japan I went to a Shoya izakaya countless times for company parties. What a shock to find one in Atlanta of all places! Before leaving Atlanta we stopped by Super H-Mart, a growing chain of Asian hypermarchés along the large cities of the East Coast of the USA. Unlike the smaller markets in Charlotte and Charleston, this one is the size of a regular American supermarket and is stocked with an amazing assortment of fresh Asian vegetables, imported packaged products and fresh seafood. The selection of fish put ol’ Charleston to shame. How can we be right by the ocean but only have the same basic selection of fish, while some grocery store Northeast of the Atlanta beltway has over thirty types of fish on sale? The dominent selection of products was Korean, but there was no difficulty in finding Chinese, Japanese and Thai food products. There were even specialty sections for Indian and South American foods. At the exit of the Super H-Mart, there were small store areas decorated with Korean writing, selling eye-glasses, home Internet connections, mobile phones, health insurance, and clothing and Korean furniture items. A Korean immigrant might never have to worry about learning English with such comforts readily available. I started to get an itch…Korean looked like it could be really interesting, and with a grammar so similar to Japanese, I might be able to learn it. On the way out, however, I grabbed a copy of the local free Chinese newspaper, and the itch went away. “Stay focused man!” How nice to have such learning materials freely and readily available! In that same shopping center, there was a newly opened Japanese book and coffee store, selling imported Japanese books at a 100% mark-up rate, but I’m sure the manga-otaku will be happy to pay that. Above the book store on the second level was an IACE travel center, a large Japanese travel agency, and next door was the Shoya iazakaya, pictured above. Next, we stopped by a small Japanese market just down the street. While the selection was strictly Japanese and rather limited, half of the building was set aside for the rental and sales of Japanese television programs and dramas. Behind the counter there were four computers and a shop clerk busily copying DVDs. With such a large selection, business had to be good with a lot of demand from the expat Japanese population. Before heading home, we stopped for a large lunch at Hae Won Dae, an award winning Korean BBQ restaurant. This was also just a few blocks from Super H-Mart. In fact, this entire part of Northeast Atlanta seemed to be a mix of Korean and Latina stores and services. Some, like the restaurant we visited, was welcome to everyone, while others had signs only in Korean or Spanish, seeming to cater to their respective populations. After filling our stomachs with Bulgogi, seasme-oil tinted bean sprouts, various types of Kim Chee, and a bowl of rice, we were stuffed and ready for the long drive back to Charleston. On the way to Atlanta, around the state border I picked up a ton of tourist information for the various sites around the state of Georgia This time approaching the South Carolina border, I was looking to pick up some tourist information for South Carolina, with the hope that there were some places that would not be quite so far away. Short day trips are great for the regular weekends. I arrived at the state border and visitor’s center at 5 PM. I walked up to the door and tried to open it, but it was locked. Inside there was not a person in site, and the sign on the door said the center closes at 5 PM. I’m sure the attendant probably ducked out of work early–very South Carolinian style if I do say. Or perhaps with the huge budget deficit the state of South Carolina carries, they cannot afford to operate the information centers any more. 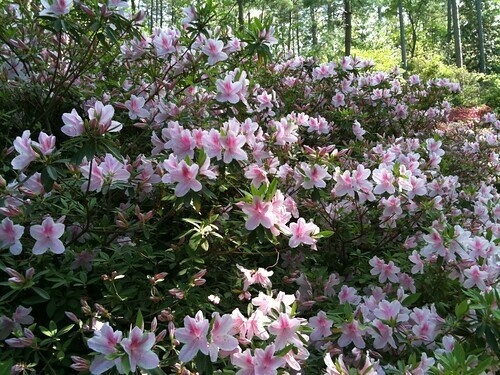 The signs on the highway said we were now traveling on Strom Thurmond highway. I still cannot believe in this day and age a man like that is still celebrated. After looking the map, rather than driving north to the worst city in the world, it seemed like we could take the old highway from Aiken to Charleston, and it might save us time. Well, it turns out they built interstates for a reason. Rather than be quicker, it took about an hour longer due to the rural drivers and the the stoplights in the rural towns splattered along highway US-78. Along the way we saw numerous cotton farms and isolated homes surrounded by forests. There was no mobile phone coverage and often nothing in site other than the occasional house here and there. It is hard to believe that people can live in such isolated conditions. We noticed there were a lot of churches along these old highways, and I guess that the church serves not only a religious purpose, but also as the focal socialization center for most rural residents. When we finally arrived in Charleston, it was nice to see the marshlands and the sea again. I don’t think I could ever live in the Midwestern part of the US. Give me mountains or sea, but please, no grasslands. So, now to figure out the next road trip! After almost three months of job hunting, interviews, and general stress, I am now set to become a productive member of society, soon to be paying taxes and contributing to GDP and all of those other things economists get excited about. To be honest, I was started to get worried earlier this month. In July I was having trouble getting interviews and I was worried this job hunt was going to turn into long-term unemployment. I was wondering if I should have stayed in Japan and just stuck it out for a few more years to avoid the bad economy. I was also afraid I’d end up having to take a job with a small company where I would not have much of a future. Perhaps it is just fate, but after a call on a Saturday morning when I was not expecting any job market activity, followed by an online skill test, a “homework” assignment, a grueling two hour phone screening, and then a one-and-a-half-day long interview combined with business dinner, I managed to make an impression on the managers and I’m going to be working for a company that has a lot of opportunity for growth and is currently expanding to global markets. This was the type of job I was looking for all along and I’m really excited about it! I have much to learn in a very short period of time, but I’m really excited about this opportunity. No, it’s not Italy or the Caribbean. I’ll still be in the US. How about this clue? If you recognize Mark Sanford, you’ll immediately know I’m talking about South Carolina. I never imagined I’d be in South Carolina, especially after visiting the state capital of Columbia eight years ago and being left thoroughly unimpressed. I imagined myself in New York City, Boston, Seattle, or Washington DC, and much of my job search also focused on those markets. 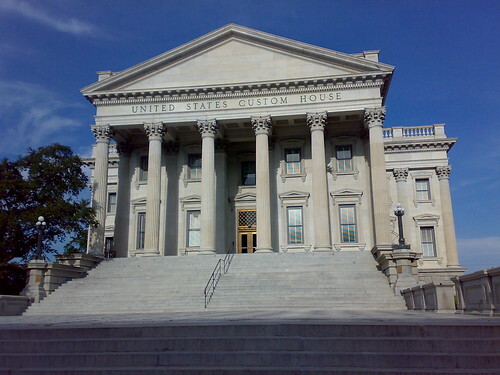 We’re actually moving to the port city of Charleston, an old city on the Atlantic coast with a rich history–both the good and the ugly. After walking around Charleston I feel better than ever about this move: French Quarter downtown and just 15 minutes to the beach. Charleston has a lot of culture and history, which reminds me of my time in Kawagoe in Japan which also has a fine history and culture. Charleston will not be without its challenges. 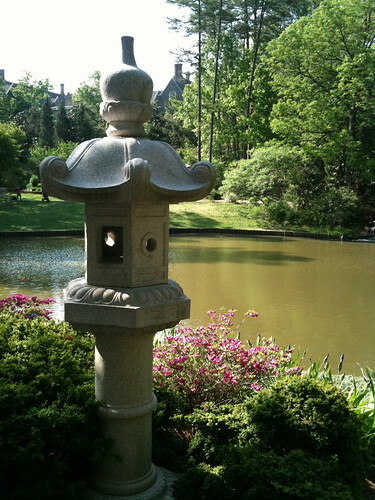 Charlotte has a significant Japanese population and some great Asian markets and restaurants. While Charleston has excellent fresh sea food, I have not had much luck in finding Asian markets and Japanese communities. We’ll make the best of it though and perhaps find more than what the Internet can turn up. 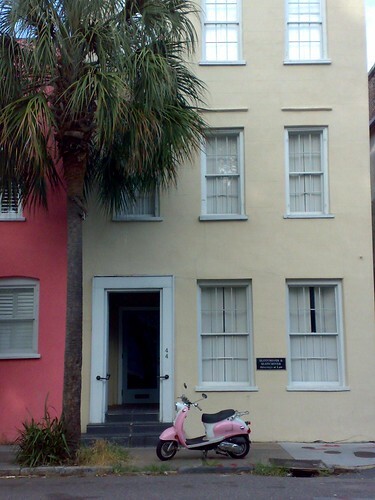 I’ll be busy with the move for now, but once things settle down I hope to share my Charleston experience on this blog. Of course for Liam, he doesn’t care where he lives as long as the milk, baby food and toys keep flowing. Sleep well buddy, the coming days are going to be hectic!